DATES: Vera May Shinabarger was born 26 April 1917 in Elkhart, IN. Her father is Riley Ernest Shinabarger. Vera died 10 January 1993 in Lake Co. IN and is buried in Westville Cemetery. MARRIAGES: Vera married William Carl Bunyard on 4 February 1939 in Elkhart, IN. William was born 9 July 1913 in Des Moines, IA. He is the son of Edward and Dora Brockmann Bunyard. Wiliam worked for the Keyes Fibre Company in Hammond and raised mink for over 20 years. He died 3 July 1986 in Lake. Co. IN and is buried Westville Cemetery. Not being the timid soul she was (her mother Flora who began researching the Shinabarger name in the 1950s), I started to probe, dig, and write letters to everyone I could find with a name even similar. In the three years since I started this, I have come to one conclusion: Our family, the family of Simon Peter Shinabarger, has only a small claim to the name, even though we have over nine hundred descendants or allied families in our files that are in some way connected with his family. In trying to contact and get information on these nine hundred plus, I also naturally ran into others. Simon’s brothers and their families. Their uncles and families. Also, many others who as yet we have not been able to fit into the picture. 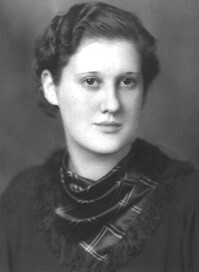 Vera continued her research up until her death in 1993. It is this research upon which the Shinabarger Family History is based. Richard Ernest Bunyard – born 17 November 1940. Judith Ann Bunyard – born 8 December 1942. Patricia Louise Bunyard – born 10 November 1944.